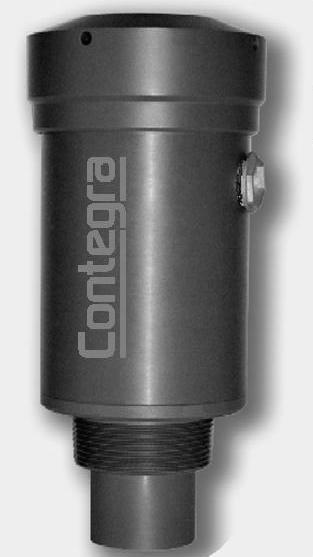 Contega's Ultrix 200 is a two-wire, loop-powered level ultrasonic level transducer. The Ultrix uses high-frequency sound to determine the distance from the transmitter's nose (i.e. transmitting head) to the sensed media. The Ultrix 200 provides easy push-button calibration that can be completed in-the-field.